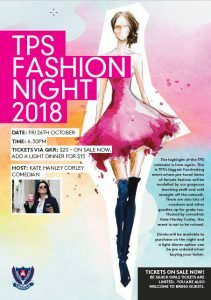 Our annual Fashion Night will be held on Friday 26 October at 6.30pm where pre-loved items of female fashion will be modelled by our gorgeous teaching staff and auctioned straight off the catwalk. 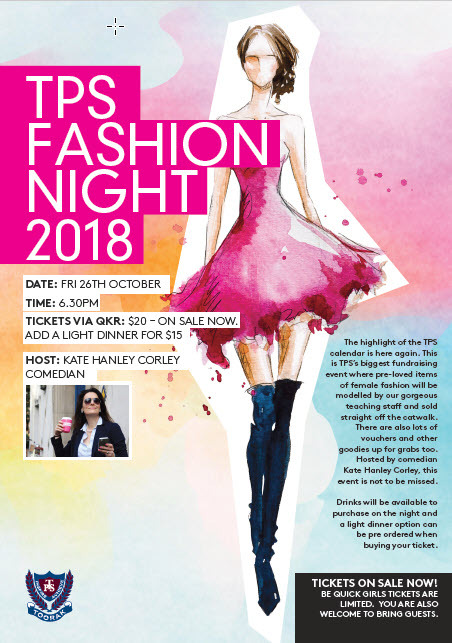 The evening will be hosted by comedian Kate Hanley. There will also be a DJ, drinks, nibbles, giveaways and more. Tickets can be purchased on QkR at a cost of $20. Friends are welcome. Donations of all your pre-loved fashion items, shoes, bags, jewellery, hats and all fashion accessories can be dropped into the school office. If you have contacts in the wider community please ask them if they would like to donate a voucher or new item for our silent auction. 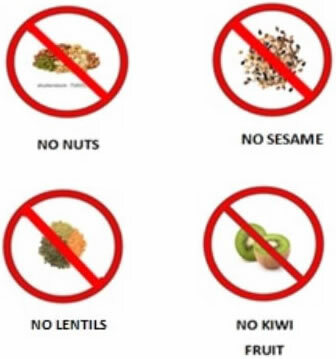 These can also be dropped to the school office. This event is for the women in our community and is strictly child free.